The American involvement in WWI brought forth numerous manufacturers who began working to meet the heavy demand of war materials demanded in order to meet the needs of the U. S. Government. The United States was far behind the European nations in terms of aviation development and it was in this field, the founders of the Waco Aircraft Company first became acquainted. Clayton J. Brukner and longtime friend Elwood J. “Sam” Junkin had both dabbled in the aviation field prior to America’s involvement in the war back in Michigan by building several gliders and even taking flying lessons. Seeking opportunities in aviation, they both moved east and went to work for the Aeromarine Plane and Motor Company in Nutley, New Jersey and then to the Curtiss Aeroplane and Motor Company in Buffalo, New York. It was here that they became acquainted with several men who would play a prominent role in the formation of the Waco Aircraft Company. 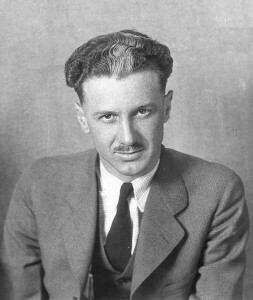 While working for Curtiss, Clayt and Sam became acquainted with Harold C. Deuther, Charles W. Meyers, and George E. “Buck” Weaver. 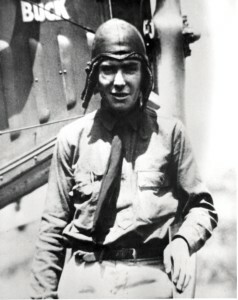 Buck Weaver, test pilot and co-owner and namesake of Weaver Aircraft Company (WACO). During their off hours, Brukner, Junkin and Deuther began working on a single-seat flying boat powered by a 15 h.p. Hendee engine at the Haley Building at Curtiss. WWI ended in 1918, but the trio decided to remain in Buffalo to finish the flying boat. 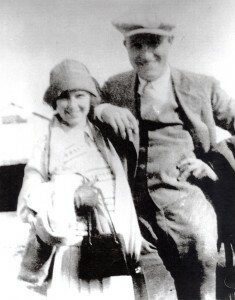 Charlie Meyers and Buck Weaver decided to seek fortune elsewhere and moved to Lorain, Ohio to form the Ohio Aviation School at Woodruff Field where they invited the trio to join them. Finishing the flying boat in 1919, they began testing but found it was unable to “unstick” itself from the water due to the inadequate power of the engine. Undaunted, Brukner, Junkin and Deuther loaded up the flying boat in a truck driven by fellow co-worked Ed E. Green and moved to Lorain, Ohio to continue testing. Arriving in Lorain on August 10, 1919, they rented a space upstairs in Carek’s Dance Hall and began designing two new aircraft. It was at that time they decided to form the DBJ Aeroplane Company. 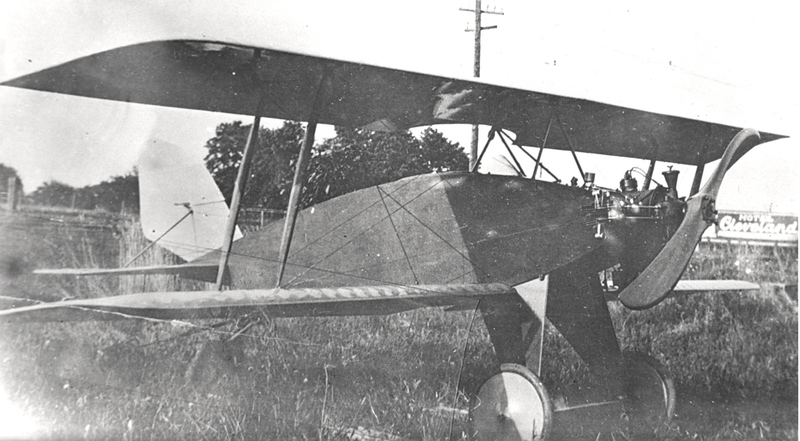 The first design was a small single-place biplane known as the DBJ “Scout” powered by the 15 h.p. Hendee that had powered the unsuccessful Baby Flying Boat, as the first model had become known. 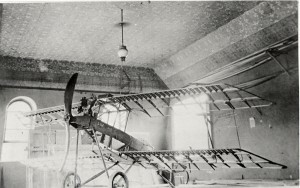 The “Scout” was completed and was successfully flown but was damaged in an accident while being hopped by Brukner and not rebuilt. The second design was a larger, two-place flying boat powered by a water-cooled inline engine of 40 h.p. This airplane was also completed in short order but it too was not successful in becoming airborne. A third design was begun but soon abandoned due to lack of funds and the group joined Meyers and Weaver in their barnstorming adventure in order to raise the necessary money to keep building airplanes. In November of 1919, it was decided to merge the assets of the informal DBJ Aeroplane Company into the Weaver Aircraft Company. They commenced work on a totally new design at Carek’s Dance Hall that would become known as the “Cootie”. 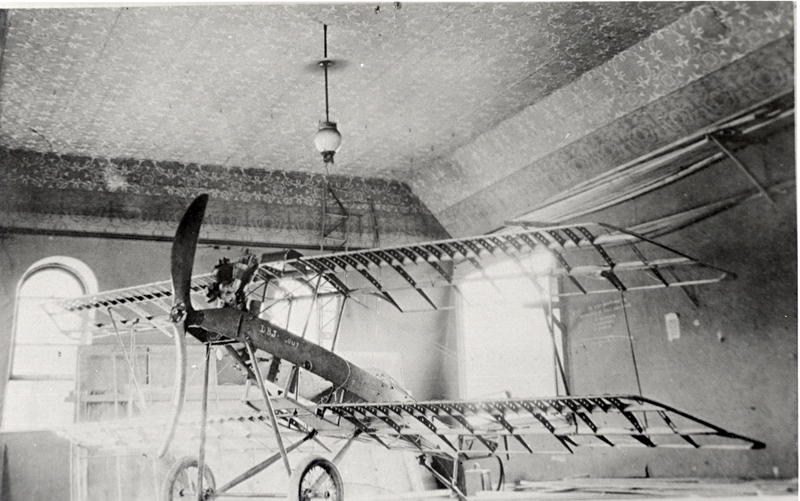 The “Cootie” was a high-wing parasol-type aircraft powered by a two-cylinder Lawrance A-3 engine of 28 h.p. at 1400rpm. By February 1920, the “Cootie” was completed and was ready for testing. With Buck Weaver at the controls, the airplane was quickly airborne. Buck flew the airplane around locally for about 20 minutes. Returning to the field, a ground fog had begun to arise. As Buck came in to land, one of the wheels settled into a frozen rut and Buck lost control and crashed. The airplane was badly damaged and Buck was badly injured as well when his face smashed into the instrument panel. While Buck was recovering, work began on a second “Cootie” during April 1920 and this time it was redesigned as a biplane. The airplane flew well but they were unsuccessful in finding a buyer.